Just managed to book (not online and not by phone) CGK-NH-HND-NH-BKK-TG-FCO in business class for 45000 miles. Found also with 4 legs but hours and aircrafts didn't satisfy me. What I've learnt is that SQ is almost unavailable, BR the same on longhaul (at least to/from Europe) and NH is available only in the next upcoming weeks (longhaul). I'm exclusively referring to business seats. How if not online and not by phone? Ticket office, like many other of us. So they allow mixed carrier now? Yeah, really the same experience for me throughout this week. Both offices were really trying their best, and were really sorry for not being able to help. My contacts with the call center however, were bad, no help at all, also told to file a complaint, which I did, they promised me severral times to get back to me before the ticket was cancelled, they did not. The reservation was cancelled, I had to buy an expensive economy ticket, and I'm stuck with 50,000 miles expiring this year. Thank you Turkish. I am having this exact problem. I have been trying for hours and weeks to book a *A award ticket with my 48,000 miles expiring this year, and they told me to fill out an online form when I asked them to extend the validity. I have no confidence this will happen before the miles will disappear. Yes, I have done this and it is $25. But be careful if you try the $25 recrediting; if the miles would have expired, they will cancel the flight without recrediting and not warn you that's the case (I would've changed dates the time this happened to me). 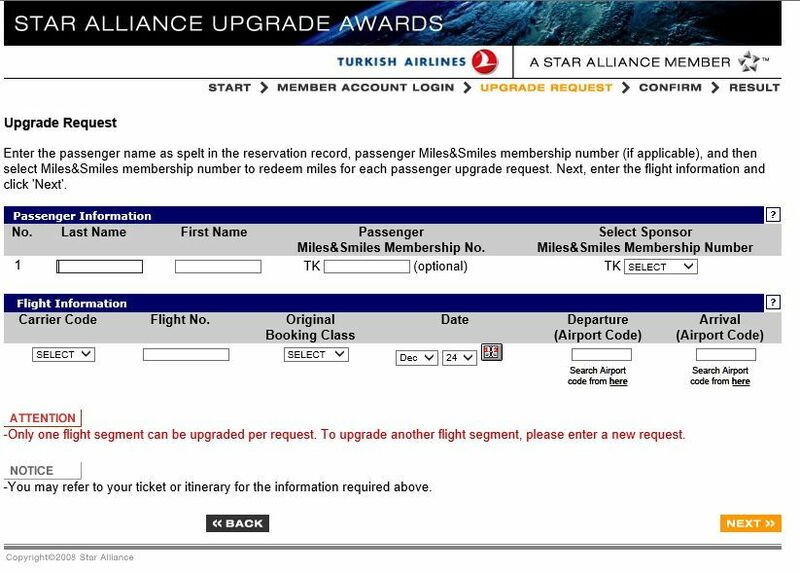 Turkish Airlines website now has the ability to book Star Alliance awards (directly on the website). I tried to play around with the system and it doesn't work yet, but the framework appears to be in place...so I think this option will be availability sometime in 2019.
how is LH F or BR C availability on TK? thinking of redeeming for these two products. Am open to flying from CDG/BRU/FRA/MUC. I also tried two local offices and was told that ever since the “upgrade” they are unable to issue Star Alliance tickets on UA or AC. “Due to technical restrictions award tickets with flights operated by United Airlines and Air Canada for domestic routes cannot be issued. Related departments are working for solution regarding this issue. I have the same issue with booking a UA domestic award ticket, with miles expiring this year. Told to fill out the online form but nothing back from them yet. Tried this, and it seems there is a way to go yet. Only allows Round Trip searches and then does not find pretty basic routes that are showing open on UA/AC (SK-TG trip). Also where UA shows a route with mixed inventory (Y feeder, J longhaul), TK website only shows the Y price, no option to select the mixed class (at J prices). How long to Citi TYP take to transfer and how long can they hold an award ?